Happy day my little chickadees! I hope you've all had a fantastic week full of books! 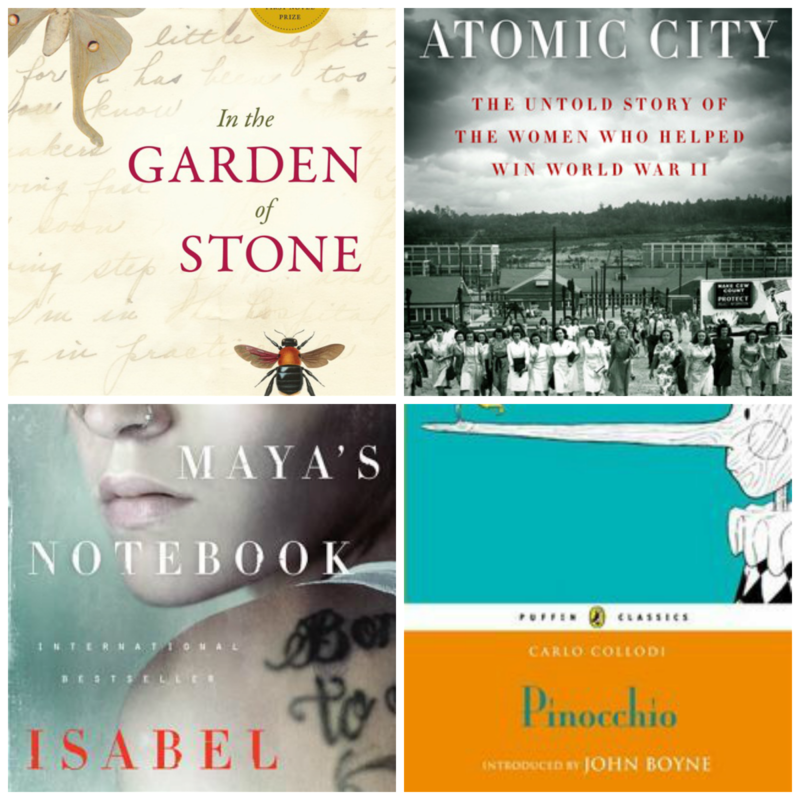 As always, you can click on any of the pretty links in this post for more bookish goodies. Not to mention the boat-load of books I have on my Kindle that I have to get to! 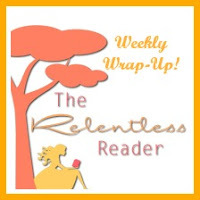 Bookish Business:I shared my April Wrap-Up here. What a fantastic month of reading! Facebook, and Twitter, and Pinterest -oh my! This year is the first that I've kept track of how many books I've read. I decided to set a Goodreads goal of 125 books. Soon after I increased my goal to 150 books. I've recently increased my goal again, to 200 books. I knew that I was a fast reader. I knew I read a lot. I didn't realize just how fast and how much! You have read 87 books toward your goal of 200 books. Great work, you're 19 books (9%) ahead of schedule. Have another great week everyone! I don't know which book I'm most excited to read! The Girls of Atomic City has been on my radar for a while though. I'm having such good luck with books lately. KNOCK ON WOOD! Wow! 200 books is awesome. I'm a really slow reader and often when I read on the weekends or in the evening I fall asleep so my best bet is reading at lunch and I can usually only get in 40-50 pages. Audio definitely helps though! I've had my eye on the Allende! Been meaning to read more of her books for years. I'm a big fan of Allende, I'm hoping this is a good one! 19 books ahead of schedule is pretty awesome! Not too shabby right? ;) I might have to increase the goal yet again! I'm always amazed with how much you read. Have a good week. You're on fire with the reading this year! You truly deserve your name. You ARE Relentless. Wow! 200 books is amazing. For the last few years, I've read around 110 books. I can't really imagine trying to read more than that :) Looks like you had a good week. I can't wait to see what you thought of Girls of Atomic City. It was another good week for me. I haven't had a dud in a while. (I hope I'm not jinxing myself by saying so!) I'm really looking forward to that one! Wow, you are a superfast reader!!! I've read an embarrassingly lowww amount of books this year, but they've all been pretty awesome. Can't complain too much! That's a great attitude :) It would be worse to read a ton of crap books, lol, that's for sure! I love reading goals and challenges. Congratulations on meeting yours and setting new ones! Maus seems like a book I should read. Please, oh please read Maus! I promise that you won't regret it :) Thanks for visiting! What a great goal, I'm just a few books ahead of you at the moment! Thanks Shelleyrae! It's good to know I'm not the only reading robot in the world, lol. Am I the last person on earth yet to read The Great Gatsby? I wanted to get to it before the movie but don't like my chances lol. As long as you're reading you're in good shape girl! :) LOL, you don't like your chances..that made me laugh! The Great Gatsby is such a short book, you can get to it, I promise! ;) I wanted to re-read it before the movie as well, which is why I made it one of my read-a-thon books! Ah, I smiled when I saw Bob Ross! Such a lovely man. Anyway, 200 books is an amazing goal! 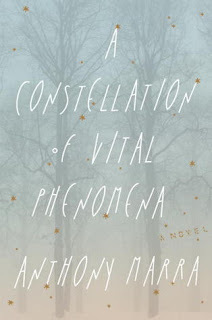 The book by Isabel Allende seems very nice and the Anthony Marra book looks very beautiful. Is it a good book? I used to love watching him when I was a kid..so relaxing! I'm looking forward to the Allende and the Marra is excellent so far! I enjoyed Orphan Train...and do want to read Sisterland. Enjoy your week! Orphan Train is a heartbreaker isn't it? Sisterland is a good read, I hope you'll be able to get to it! You do get a lot of reading done and all of them are books I don't know about. I will likely be increasing my GoodReads goal as I approach it but right now it is set for 200 and I am at 95. It's not that I'm a fast reader; it is simply that I don't do much else but read. Come see what I read and happy reading! I try to keep it interesting ;) I guess I'm a fairly eclectic reader. Good luck with your goals Kathy! I am behind right now if I want to reach my GoodReads goal. Hoping to get back on track soon. Thank you, thank you :) I need it at times, lol. Wow, that's amazing you've had to increase your reading goal again! Wow, you had a great week! I can't wait to hear what you thought of Maus II. Good job on your GoodReads challenge! All of those books you've pictured look great, a few more to add to my list! Hope you have a great week. They are both waiting for me at the library. I'd better go pick them up! You're reading like a train (on full speed)! I'm at 64 books for this year - but I haven't set a goal. Looking forward to seeing what you thought of Sisterland. I've been wondering whether to ask for it for review, but haven't so far. Choo choo! ;) I enjoyed Sisterland. It was different than I expected, but in a good way! I never would have guessed that to be honest. Like I said, I knew I read a lot but I honestly didn't know how much! I've kept track of titles I've read since 7th grade, but have never set a goal to read so many in a year. This year I set my Goodreads at 50 and already bumped it up to 60. I'm counting on making that during summer and bumping it again! Reading all my favorite book bloggers keeps me going! Some good titles I'm finding. Girls of Atomic City looks so interesting - it's been on my TBR! Have a great week and I hope you love all of your books! 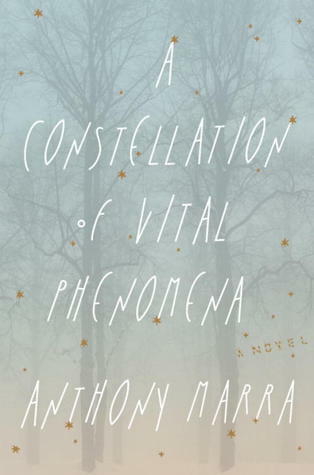 Great title: A Constellation of Vital Phenomena. Now I'm off to Amazon to find out more! Thanks. I totally need to up my book goal again as well. Haven't read nearly as many as you though! I'm really interested to hear what you thought of Sisterland! I'm trying to work through some of my Kindle reads at the moment too, but my paperbacks seem to be grabbing most of my attention at the moment. LOL, that's a good question. I haven't had an awful reading week in a long, long time. I made up a little chart/calendar to remind myself of the release dates of the books I have on my Kindle, lol.